The crisis brewing in South Cameroon/Ambazonia may be presented by some international sources as a surprise, but the reality is that the conflict in which the West African country is currently engulfed reflects decades of ethnic imbalance. 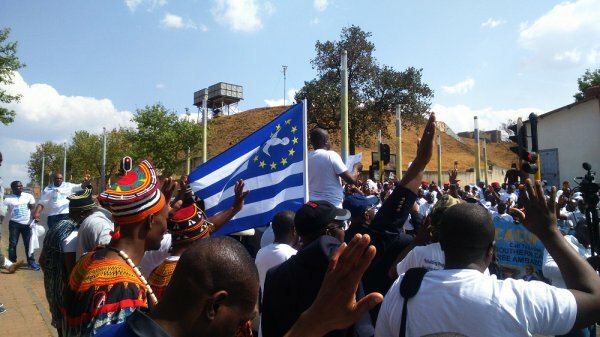 In this timeline, UNPO takes reports from the Minorities at Risk project at the University of Maryland and a recent report by International Crisis Group, as well as UNPO’s own coverage to illustrate the origins of the Ambazonia-Cameroon conflict. The origins of the conflict can be traced back as far as the rapid decolonisation process that swept across the African continent after the end of World War II. Ambazonia had been under British rule and Nigerian administration, while Cameroon had been a French territory. Ambazonia, then called South Cameroon, was initially afforded sovereignty, but, following a controversial referendum, it was merged with French Cameroon in a federation. Ambazonia’s history since then has been shaped by systematic marginalisation and violation of the federal nature of the initial agreement. While there had been some tepid commitment to democratisation in the early days of the federation, most of the progress made was soon jeopardised by one-party rule under both presidents Ahidjo and then Biya. As of 2018, President Biya is Africa’s longest serving President, having outlasted even Robert Mugabe through suppression of political opponents and electoral fraud. While Biya presented himself as a benevolent dictator in the wake of the 1990s democratisation wave, opening political spaces, his continued false promises and stop-start decentralisation agenda led to a final outpouring of Ambazonian national sentiment in late 2016. Cameroon’s security forces responded to initial protests with violent repression. As a result, the conflict has escalated into a worsening humanitarian crisis. Ambazonia: Name given to the self-declared and unrecognised state covering the historical territory of Southern Cameroons and its anglophone population, regarded by the international community as part of Cameroon. Southern Cameroons: Southernmost region of the British Mandate territory of British Cameroons. A region with a majority anglophone population which, in 1961, became part of the Republic of Cameroon, an overall majority francophone country. 27 July 2018: UN High Commissioner for Human Rights (OHCHR) releases statement on Cameroon crisis criticising both sides for Human Rights violations, singling out the government's “heavy-handed” approach in sparking the waves of violence. 21 July 2018: Human Rights Watch releases a report where details emerge of Cameroon government forces torching entire villages. 11 April 2018: Francophones and Anglophones alike join in protest against Biya's government following violent clashes in the Anglophones regions. 20 March 2018: UNHCR spokesperson Aikaterini Kitidi states that more than 20,000 Ambazonians had been granted refugee status following escalating violence in their communities. Official records show over 65,000 Ambazonian refugees are spread across different states in Nigeria. 17 January 2018: Nigeria renders 47 Ambazonians asylum seekers to the Cameroon government, despite a Federal High Court order deeming this act illegal. 16 December 2017: A French spokesperson for the government calls on their traditional ally to engage in a ‘national’ dialogue with the opposition. The European power has a close security cooperation with Cameroon, particular in the fight against Boko Haram in the North. As a result many of France’s soldiers train the special forces of the Biya regime. 11 November 2017: The United Nations Regional Office for Central Africa (UNOCA) expresses concerns over the rising spate of deadly exchanges between the Cameroon’s security forces and separatists in the country’s restive anglophone region. 2 October 2017: Cameroon police forces open fire on protestors, killing 17 people. 1 October 2017: President Biya announces the deployment of the Cameroon military in the Anglophone provinces on the day Ambazonia commemorates its independence from previous colonial rule. 29 September 2017: Cameroon bans pro-independence rallies, public meetings, and travel in a mainly English-speaking region ahead of a protest to demand independence for the area. 3 July 2017: Law creating a Common Law section in the Supreme Court in bid to appease Anglophone concerns over legal system. 31 May 2017: The case of the Anglophone crisis is brought to the African Commission on Human and Peoples Rights. 20 April 2017: The internet is restored in the Northwest and Southwest regions. 4 March 2017: Banning of the pro-federalism gathering of the Social Democratic Front. 14 February 2017: A communiqué is issued by the president of the National Commission for Human Rights and Freedoms to condemn the lack of freedom of expression, of association and manifestation, internet shutdown, disproportionate use of force, acts of torture, detention of minors, abusive recourse to administrative detentions and the law of terrorism. 20 January 2017: The National Communication Council threatens the suspension of media houses suspected of promoting federalism and secession. The internet is soon shut down in most of the Anglophone regions. 17 January 2017: The Cameroon Anglophone Civil Society Consortium and the SCNC are banned by the government. 8 December 2016: Unrest erupts during the interruption of a gathering of the Cameroon People’s Democratic Movement, after the Anglophone Teachers Union announce that they would reject the government proposition, due to its lack of serious decentralisation programme. 25 November 2016: The prime minister and the inter-ministerial ad hoc committee initiate a first session of dialogue in Bamenda, with the Anglophone Trade Unions. End of November 2016: The Cameroon Anglophone Civil Society Consortium is created. 21 November 2016: Strike by Anglophone teachers, joined later by students, leads to a general uprising in the Anglophone regions. 11 October 2016: Strike organized by Common Law lawyers, marks the start of the current (as of 2018) crisis in Ambazonia. 3 October 2016: SCNC chairman Nfor Ngala Nfor issues a statement asking Southern Cameroonians to sign the petition to hold an independence referendum. The chairman said that it was the legitimate right for compatriots to sign and that they violate no law by doing so. 9 May 2015: The All Anglophone Lawyer’s Conference takes place. A central sensational topic of the conference is the struggle of lawyers to preserve the Anglophone identity. 20 February 2014: “La Republique du Cameroun” celebrates the 50th anniversary of reunification in Buea, Southern Cameroons. Some disapprove of this celebration, viewing it a distortion of history. 3 June 2013: After two weeks of their arrest, 22 people remain in detention in Bamenda. They were detained for allegedly holding a meeting of the SCNC. 30 November 2012 The Southern Cameroons National Council announces plans to introduce identity cards, currency and treasury bills in the region and to sign a petition against the ‘illegal occupation and colonisation’ of their territory by Cameroon. 2012: The Amnesty International Report on Cameroon reveals that the government in Cameroon continues to restrict the activities of political opponents. 1 October 2011: Over 40 members of the SCNC are arrested at a protest in Buea. No charges were given. They were released days later. 9 February 2011: SCNC Chief Ayamba Ette Otun, is arrested at Njenka in Bali, while travelling through the country on his way to Bamenda. 20 May 2010: While in Yaounde, the United Nations’s 64th President of the General Assembly gives, Ali Triki, gives two maps as present to president Paul Biya, one of “La Republique du Cameroon” and the other of British Cameroons. This gesture is interpreted as a UN effort to approve of the self-determination of Ambazonia. 2009: The African Union begins considering accepting the SCNC’s call for independence. However, the African Commission On Human Rights and People’s Rights would eventually reject the petition and effects of the group. 2008: The constitution is revised in order to remove presidential term limits. 6 October 2008: Chief Ayamba Ette Otun from the SCNC is arrested in the town of Tiko. 25 July 2008: Cameronian authorities ransack SCNC office in Bamenda Town and detain activist Mr. Nwachan Thomas for erecting a signpost on behalf of the Southern Cameroons National Council. August 2007: The CPDM wins 152 out of 180 seats in the parliament. Francophone Biya had been previously re-elected in the 2004 elections with 70.9 percent of the vote. The main opposition party in Cameroon, the Social Democratic Front, accuses the ruling party of fraud. 20 January 2007: Heavily armed police ransack a SCNC press conference and arrest hundreds of participants, including SCNC Vice Chairman and UNPO Member Representative Nfor Ngala Nfor in Bamenda, Southern Cameroons. 29 November 2006: Cameroonian Police kill two students at a riot that broke out at Buea University, an English speaking institution in Yaoundé, following protests over examination inequities between Anglophones and Francophones. 12-16 June 2006: Social Democratic Front (SDF) members walk out of a Constitutional Laws Committee meeting of the National Assembly to protest proposed bills for electing senators and regional councilors. They demand an independent electoral commission. 27 April 2006: Arrest of 65 members of the banned Anglophone organization SCNC during their meeting at the home of a member. January 2006: Violence breaks out between supporters of Fon Doh and those of John Kohtem. One account of the violence indicates that Fon Doh was on his way home when Khotem supporters surrounded his car and threatened him. Khotem supporters say that Fon Doh supporters had thrown stones at them. 10 July 2005: Police arrests 32 SCNC members. 6 June 2005: A Fon, or chief, holds SCNC activists over night and tortures them before handing them over to police. 21-29 April 2005: In Buea, several students die after a march to protest for better education opportunities for Anglophones turned violent. The protests last for several days. 15 January 2005: Fifty SCNC members are arrested by police who claim that they had been holding an illegal meeting. 2005: More than 100 members of SCNC are arrested by security forces. Most are not charged, but are only released throughout the year. 23 August - 30 Setembre 2004: Following the death of an SDF member, John Khotem, the party holds weeks of protests. Observers speculate the final number of participants to be around 50,000. 1 July - 31 August 2004: Coalition for National Reconciliation and Reconstruction (CRRN), an umbrella organization to which the Social Democratic Front (SDF) belongs, attempts to hold several demonstrations. Police stops the demonstrations, arresting and beating participants. 6 July 2004: Francophone Cameroonian forces beat the leader of the SDF after a protest march is stopped by police. April 2004: SCNC leader, Patrick Mbuwe, is shot and killed. Although the assailants were plain-clothed, security forces are suspected of being behind the killing. 25 August 2003: New party Justice and Development Party (JDP) is formed to promote the rights of Anglophones in a francophone-dominated state. They promote the liberation of Anglophone Cameroon. 2001: The main group advocating secession for the Anglophone provinces, the Southern Cameroons National Council (SCNC) is outlawed by the government. 13 October 1997: The supreme court confirms incumbent President Paul Biya's victory in the October 12th Presidential elections. The court reports that Biya obtained 92.6% of the vote and estimates voter turnout at more than 80%, a figure that opposition groups like the SDF dispute. 28 May 1997: The state owned Tribune reports election results giving Biyas RDPC party 114 out of 180 seats. Most private newspapers however show 97 seats for the SDF opposition led by John Fru Ndi. The SDF and several other opposition groups complain of massive electoral fraud. These groups claim that the elections were hindered by massive police harassment of voters, the withholding of voter cards to known opposition sympathizers, and government stuffing of ballot boxes. John Fru Ndi demands that the election results be annulled, a national independent electoral commission be formed, and that new elections be held. 21 May 1997: Government troops are sent into Kumba after three opposition militants are gunned down. In the aftermath of weekend elections, said to have been rigged by Biya's RDPC, substantial unrest and some rioting erupt in Kumba, a largely Anglophone area of Cameroon opposed to Biya's rule. 17 May 1997: General elections are held. John Fru Ndi, leader of the opposition group SDF claims that massive electoral rigging is taking place, and that the SDF will most likely call for an annulment of the election results. Results are not released for over two weeks. 19 September 1996: In an unexpected political move, President Paul Biya fires Prime Minister Simon Achidi Achu. Achu is replaced by Peter Mousongue Mafani, an Anglophone from the southwestern province. Mafani's newly formed cabinet contains only seven of the former 33 members of Achu's cabinet. 1996: Partly as a bid to assuage Anglophone discontent, President Biya agrees to revise the constitution, giving some autonomy through the introduction of local and regional elections. 3 November 1995: English speaking activists send a delegation to the Commonwealth summit to seek support for a Quebec-style independence referendum for Ambazonia. 16 Octobre 1995: Commonwealth Secretary-General Emeka Anyaoku announced in London that Cameroon would be granted entry to the club of Britain and its former colonies, becoming its 52nd member, on 1 November 1995 and the first member to also belong to the Francophonie. 1995: Founding of the Southern Cameroons National Council (SCNC). A non-violent organization with the objective of achieving independence for Southern Cameroons/Ambazonia through “"The force of argument, not the argument of force" as its motto states. 1992: The Social Democratic Front, with an Anglophone candidate for President, comes close to winning the presidential elections. Until this day , it still claims that it won the elections. 26 May 1990: The Social Democratic Front is created. 1990: The two historic Anglophone leaders, John Ngu Foncha and Solomon Tandeng resign from the Cameroon People’s Democratic Movement. 1990: A group of Anglophones draw up a 156-page manifesto cataloging abuses suffered under majority Francophone rule, which helps spawn a full-fledged separatist movement by the mid-1990s. 1990: President Biya, under pressure from other countries—notably France, which still exercises considerable influence over its former colony—agrees to multiparty elections. 4 February 1984: After a constitutional amendment, the name of the country changes from “United Republic of Cameroon” to “Republic of Cameroon,” a change viewed as an attempt by President Biya to distort history and obscure the country’s origins as a federal state in which the English-speaking region enjoyed considerable autonomy. 22 August 1983: Southern Cameroons/Ambazonia is divided into Northwest and the Southwest provinces. 20 May 1972: The appellation “United Republic of Cameroon” is adopted and Cameroon becomes a unitary state by a referendum. 1966: The Cameroon National Union is founded. President Ahidjo required all political parties, which had previously been organized along linguistic lines, to be merged into this single party, marking the end of the federal and plural facade of the Cameroon state. 1 October 1961: British Cameroon becomes independent and the two Cameroons are re-unified. The country adopts the appellation “The Federal Republic of Cameroon,” resulting in the two federal states of East Cameroon (French) and West Cameroon (former British Southern Cameroons). 16-21 July 1961: The Foumban Constitutional Conference is held to negotiate the terms of the union between the Republic of Cameroon and Southern Cameroons. The conference was later declared illegitimate by Ambazonians though after the British and UN officials refused to negotiate. 11 February 1961: Southern Cameroons votes in favor of joining a Confederation with French-speakers and Northern Cameroon votes to join Nigeria in a referendum organized by the British. The referendum that led to the establishment of independent Cameroon did not give English-speakers the option of having their own country. 1 January 1960: The appellation of “The Republic of Cameroon” marks the indepence of French Cameroon, with Ahmadou Ahidjo as prime minister, who subsequently became president of the unified state formed from the unification of British and French Cameroons. November 1959: The United Nations conducts a referendum only in British Northern Cameroons, giving people the choices of becoming part of Nigeria or postponing the decision until after the independence of French Cameroon the following year. The decision is postponed for the 11 February 1961 referendum, in which both, Northern and Southern British Cameroons, would participate. 1940: Foundation of the first Anglophone Cameroon political group, the Cameroons Youth League (CYL) by Peter M. Kale and Dr E. M. L. Endeley, when the British are still administering the area. 1922: France and the United Kingdom are mandated to administer the two territories by the League of Nations. 1916: The British and French establish authority over Cameroon after defeating the German troops stationed there. July 1884: Signing of a treaty between Germany and the Duala traditional chiefs turns Kamerun into a German protectorate.